up into one!! Best day ever! 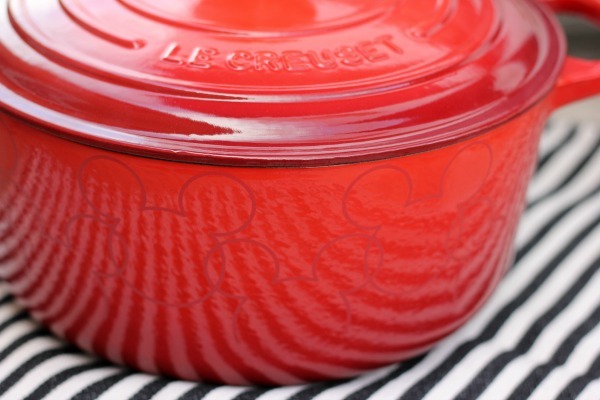 two Mickey Mouse Ramekins. They are so adorable and perfect for Disney fans like me! 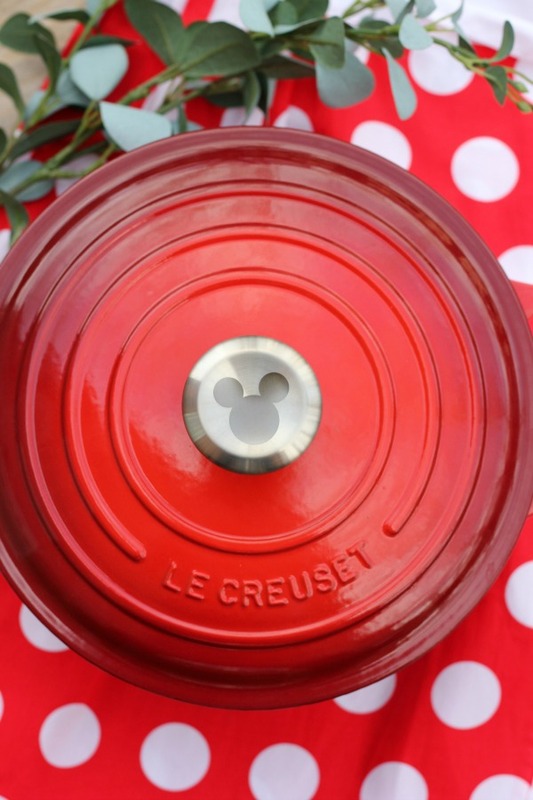 stainless steel knob and Mickey appliqué all around the sides of the pot. 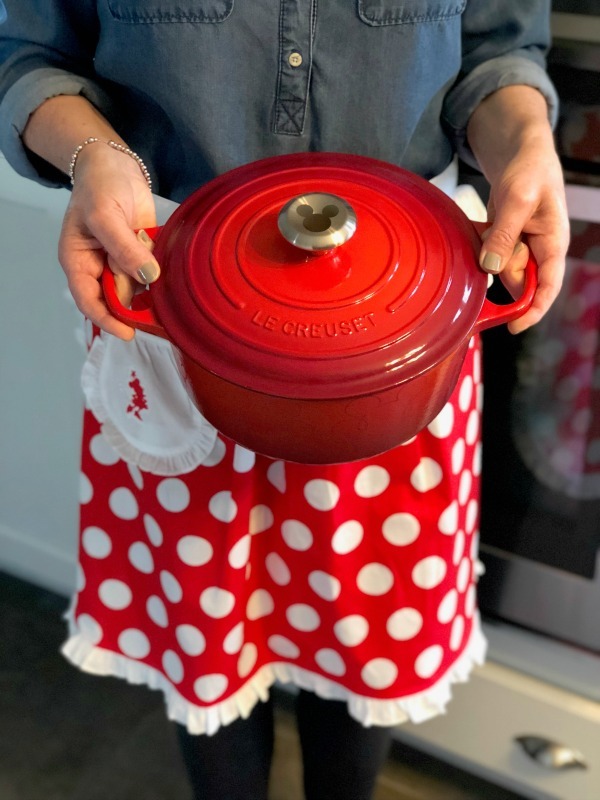 It is the cutest Dutch oven ever! and visit as often as we can. 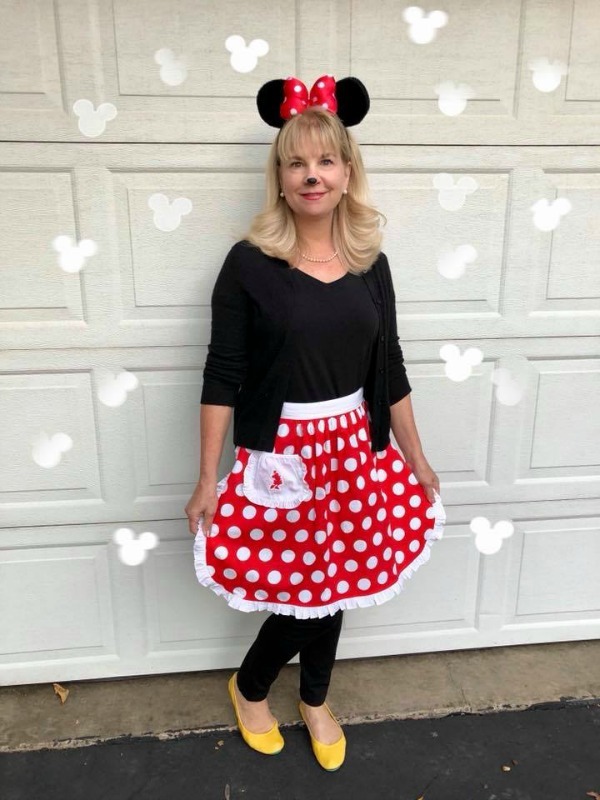 I even dressed up as Minnie Mouse for Halloween last year. with some homemade soup in my Mickey Dutch oven! With the extra cold temperatures we've been having this winter I've made a lot of soup. 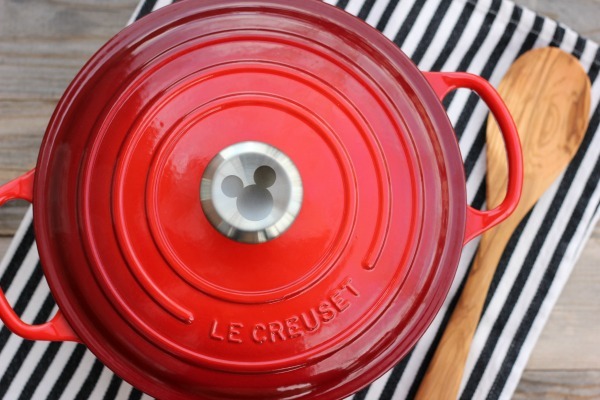 You can find the Le Creuset Disney Collection in stores, online and at Williams Sonoma. 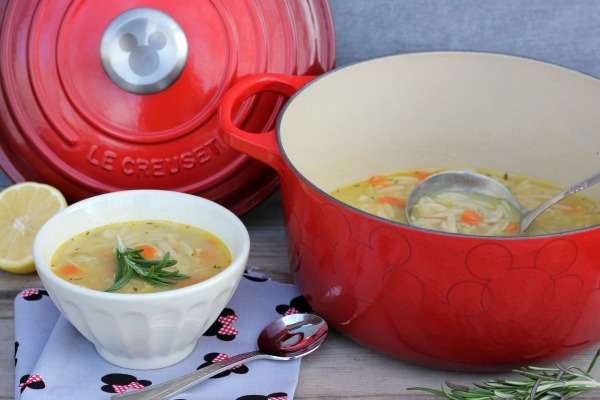 Heat one tablespoon olive oil in a Dutch oven or large stock pot over medium heat. Add onion, celery and carrots. Cook, stirring occasionally, until tender, about 3-4 minutes. Add chicken stock and bay leaves; bring to a boil. 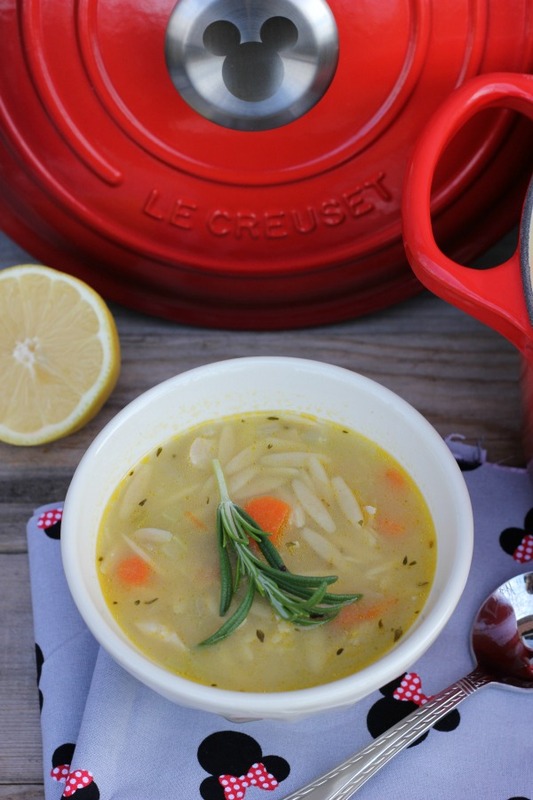 Stir in orzo, rosemary and chicken. salt and pepper, if desired. Cute, This soup sounds fabulous!